In April, The Hoppers confirmed their return to National Two North after a one-year absence and the newly promoted side have certainly had an entertaining start to life back at this level. A high scoring, but narrow defeat on the first day of the season against Chester was followed by a derby day triumph over Fylde, however, Paul Arnold’s side saw a 16-point lead slip away from them last weekend as they fell to a 28-27 loss at Huddersfield. It has been a mixed beginning to the campaign for Preston, but Fitzpatrick believes their performances in their opening three fixtures proves Hoppers can challenge towards the right end of the table this term. Well done @Huddersfield_RU ! Rugby is an 80 minute game & you boys played till the end,my boys are hurting after that ! #bigweek Live & learn ??? “It has been a steady start,” he said. “The first game of the season against Chester, I think we did alright. We could have come away with more points, but it was a tough game because they are strong at their place. “The Fylde game was a big derby so that could have gone either way so we were very happy to win that one. Last week, we lost with the last play of the game so it just shows that we could have won all three. “Those performances will stand us in good stead for the season because we want to be challenging towards the top six. That’s our goal. Fitzpatrick moved to Lightfoot Green at the start of the 2017/18 season and helped Preston secure promotion back to National Two North at the first time of asking. And the former Darlington Mowden Park centre says Preston seemed the perfect fit when he joined the club last summer. “I had a job around here and my friend, who was at the club, played for them,” he said. “I was still playing for Darlington at the time. I went down to Preston just to join the training and to keep my fitness up. I ended up moving down here full-time last summer so I got a good feeling about the club when I was there doing my fitness. “The lads were all great and the club did say they wanted to go up at the start of last season which was a selling point and they also wanted to play attractive rugby. Fitzpatrick is thoroughly enjoying his time in Preston, but this is just the latest episode in what has been a memorable career for the 31-year-old. 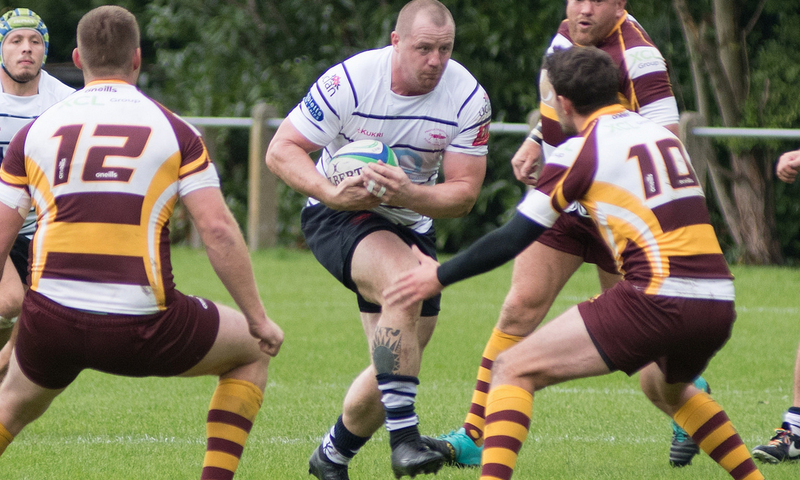 In total, he has made over 200 appearances for clubs such as South Shields Westoe, Darlington and Yorkshire Carnegie, but his journey in the game sparked into life with National League side Blaydon. He moved to the north-east outfit in 2009/10 and his performances were not only recognised by England Counties, but it also caught the eye of Newcastle Falcons. 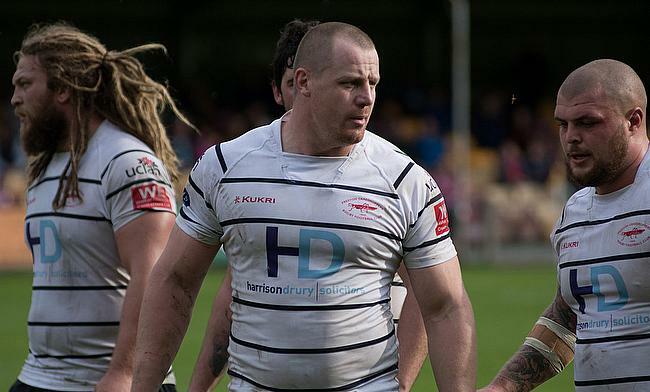 After one season with Blaydon, he made the move to Kingston Park. He went on to play 40 Premiership games for the Falcons and Fitzpatrick puts his success at the top level down to his experiences in the National Leagues. He added: “It [signing for Newcastle] was unbelievable. I couldn’t believe it that at 19, I was signing for a Premiership team. It wasn’t a dream of mine. It was just unexpected. “I was playing in the Premiership having been with Blaydon the year before. The lower leagues helped me develop as a player and I had better knowledge of playing in men’s rugby. It was just madness playing in the Premiership and a big step for me! “The National Leagues are massive. I have played at every level all the way up to the top and I would say the National Leagues are probably the toughest. Fitzpatrick is now one of the experienced heads in the Preston camp and this weekend his current side host last year’s National Two North runners-up Sedgley Park. Preston have won their last 14 fixtures at Lightfoot Green and it is a record which Fitzpatrick is keen to see continue throughout the course of the campaign. The centre also has fond memories of playing Sedge because the last time he faced the Manchester-club, he was scouted by Newcastle. “That’s how we should keep performing. We have already won our first one against Fylde and I know we’ve narrowly lost our two away games, but we want to keep performing at home. “Last time I played Sedgley Park, I got Man of the Match. That’s where Alan Tait signed me up for Newcastle because he watched me that day!